Q4. For what kind of organisation do you work? Eagle-eyed readers may have noticed that the figures add up to 101%. That’s what you get when you choose to round up, folks. Q5. 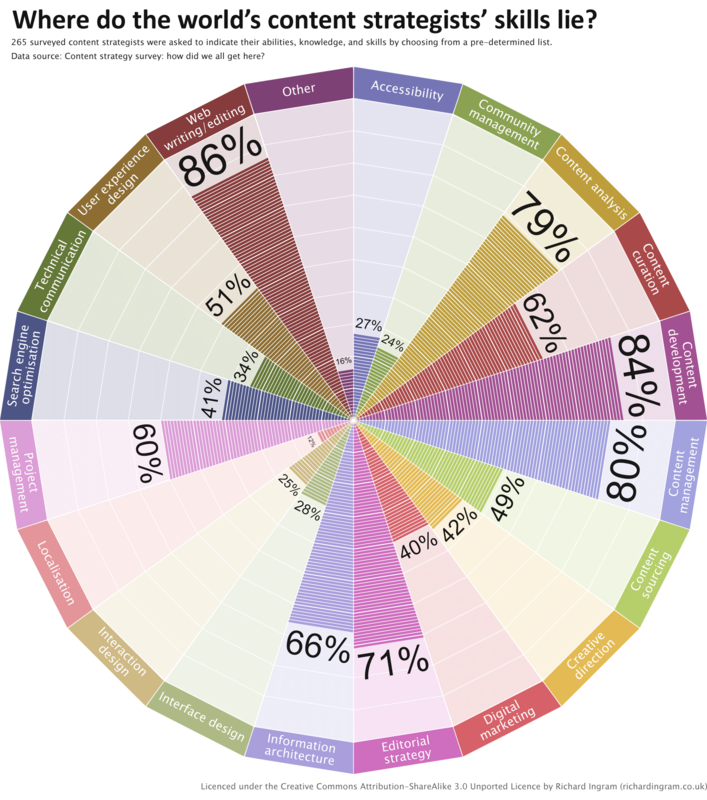 How many people does your organisation employ? Matchup #1: Q4. For what kind of organisation do you work? vs. Q5. 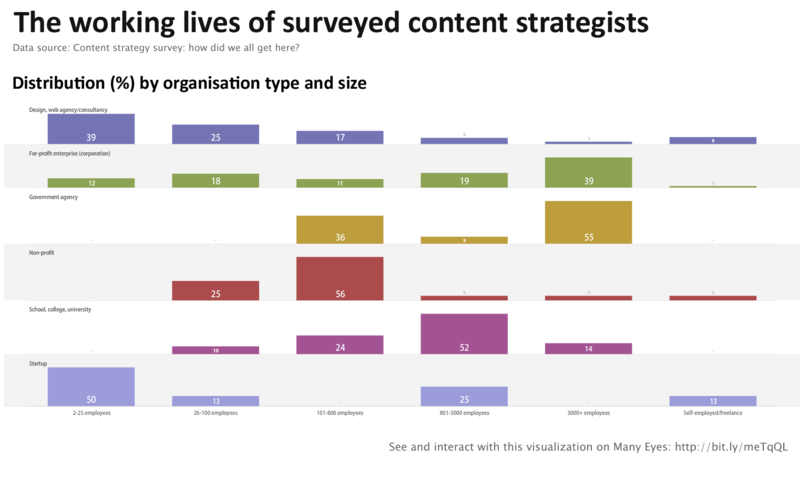 How many people does your organisation employ? Q6. In which of the following areas are you competent? Just before last Friday’s close of play I decided to release this infographic to an unsuspecting and work weary audience to measure some of your initial reactions to the figures. One notable conversation centred around localisation’s meagre share. 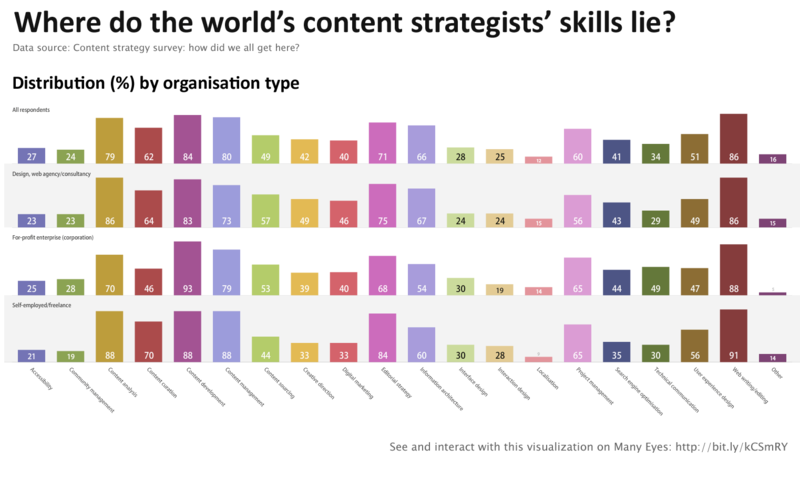 In a week when CS Forum 2011 co-organiser Destry Wion had already commented on the lack of conversations around localisation within the content strategy fraternity, the number of respondents who credited themselves with skills in this area certainly justified his concerns. 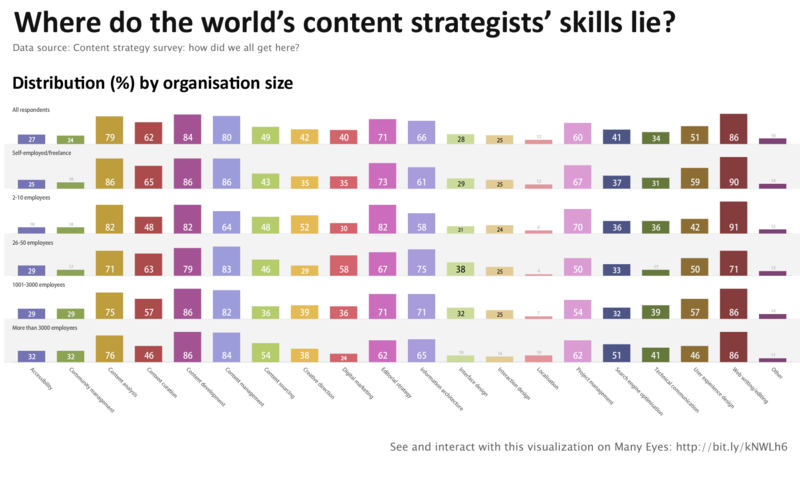 Karen McGrane, Managing Partner at Bond Art + Science, later posed this pertinent question: “If content strategists (particularly in Europe) don’t get localization, who does?”. Fortunately the world can call upon experts like Lise Janody, who frequently works with large multi-language websites. She’ll be at CS Forum 2011 in London this September presenting on this very subject, as indeed did Kenneth Yau of Baddit Ltd at last year’s forum in Paris. Matchup #2: Q4. For what kind of organisation do you work? vs. Q6. In which of the following areas are you competent? Matchup #3: Q5. 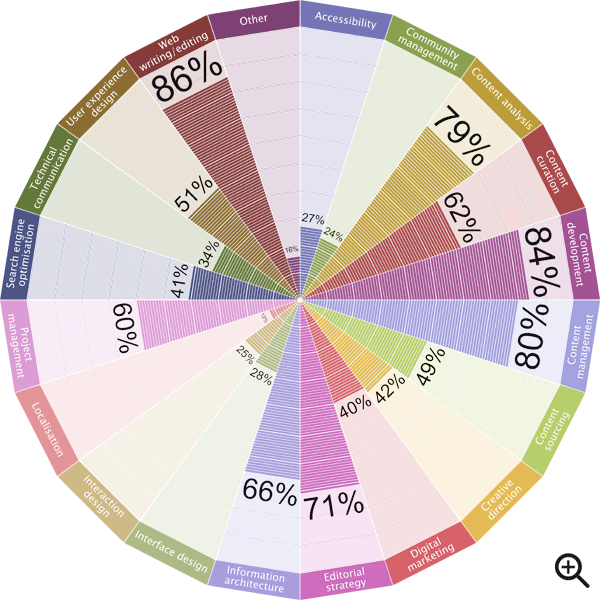 How many people does your organisation employ? vs. Q6. In which of the following areas are you competent? Update (15/06/11): Added details of Lise Janody’s presentation on localisation at CS Forum 2011. Very nice piece of work, Richard! 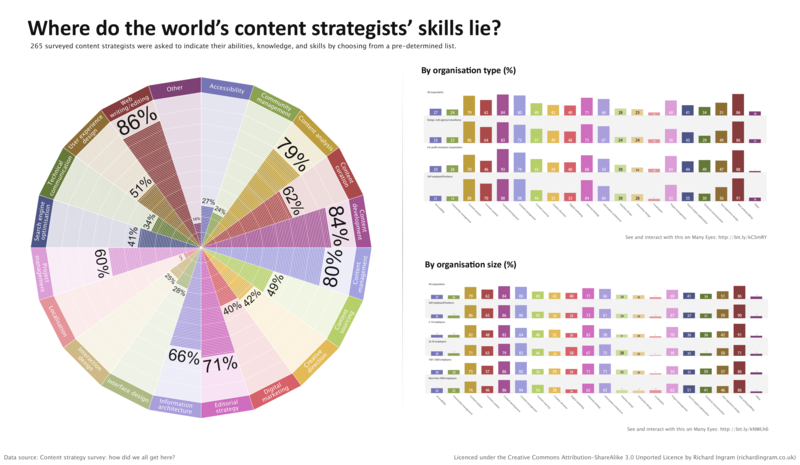 While I’m generally not a big fan of infographics, this one does show very nicely the many different aspects of a comprehensive content strategy campaign.